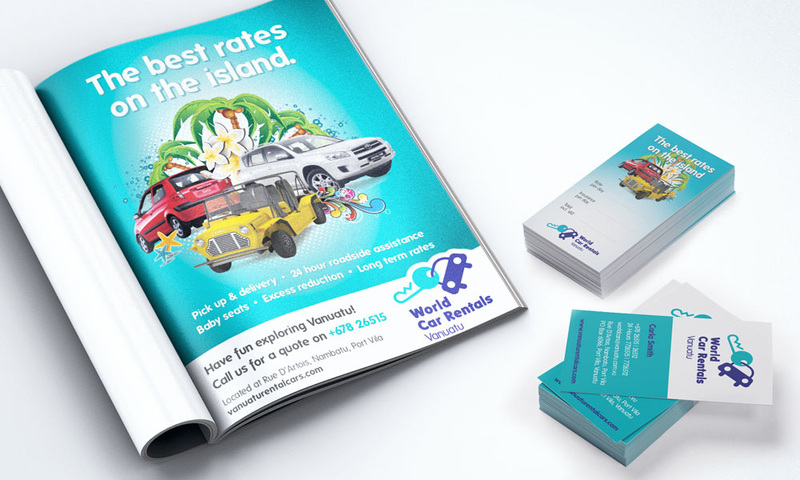 The client’s brief was for Pandanus to develop a brand that was ‘fun’ and stood out well against well-known rental car brands without looking corporate or expensive and to provide a graphic logo rather than a wordmark. We created a simple key & tag symbol and paired this with a round easy to read typeface. These symbols are used in worldwide and provide language free recognition. The resulting logo and brand is friendly, yet professional and easy to use on all types of media. 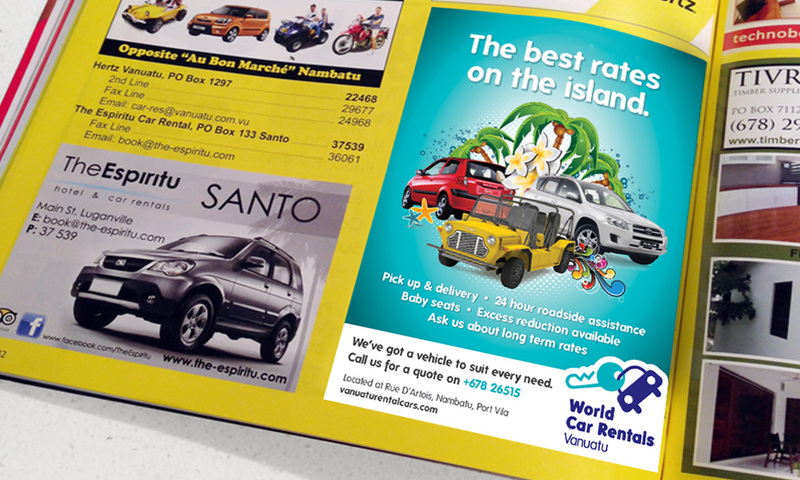 We have created advertisements using a mix of car photograph, bright island style illustrations and clever headlines – selling specific vehicles or rates in relevant media. 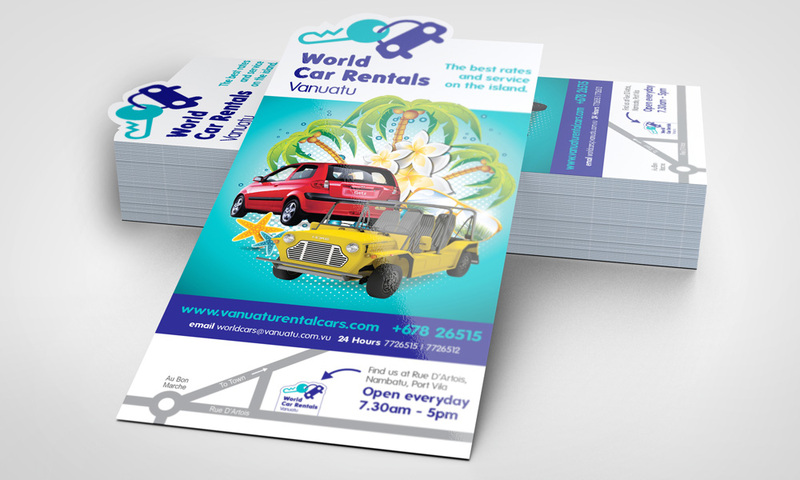 These reflect the clients sense of adventure and escapism, while maintaining a strong rental car message with large vehicle photos and prominent product propositions. These ads stand out well against the competition who are using more corporate fleet images.